Showing results 11 - 15 of 506 for the category: General. 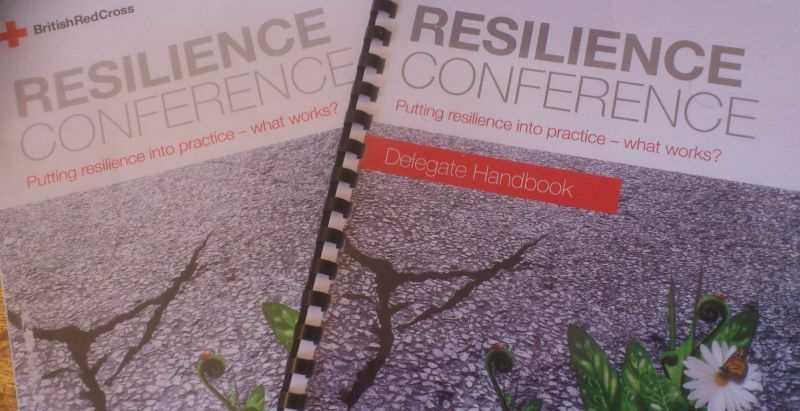 share and generate learning on how resilience building works in practice in various settings and from a variety of perspectives – in other words, what works well and why? understand how humanitarian agencies can effectively contribute to building resilience within communities. About 200 people attended, including researchers and policy-makers, community activists, people involved in refugee services,emergency/humanitarian response,health and social care and age-related resilience. It was a fascinating day, and one that I’d like to share five of my lightbulb moments from the day. It’s an introduction to Transition Training’s new ‘Effective Groups’ training and resources, developed by trainer Nick Osborne, who also narrates it. I spoke to Nick, and what follows is a choice of audio from our conversation broken into different questions, or some notes for those who would rather read the key points. We’ll start this month’s Round up in Crystal Palace in London, and news of the ‘Palace Pint’. Crystal Palace Transition Town started the initiative inspire by the nearby ‘Brixton Beer’, and more than 80 people have now planted hops in their gardens as part of the scheme. CPTT have teamed up with local brewers Late Knights in Penge, who will brew a special brew using the hops and who will also run sessions throughout the year where people can learn to brew. Hops were also planted in the Crystal Palace Museum Garden and in the Grape and Grain pub’s Tipsy Garden (see pic above). You’ll have seen ‘Dragons Den’ on the TV. 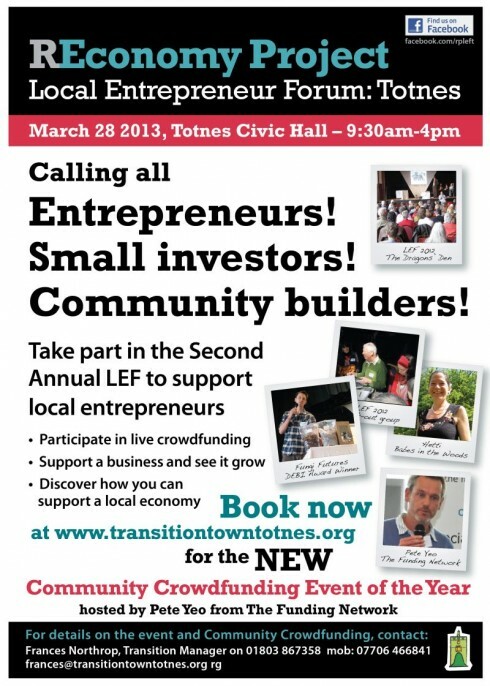 Five successful entrepreneurs sit in a row, each with a pile of cash in front of them, and one after another people come in front of them to pitch their business ideas to either be humiliated, ridiculed or fought over as the Dragons seek to outdo each other for the best ideas that come through the door. As with so much in our culture, it’s about competition, the strong surviving, the weak being the laughing stock in clips on YouTube in perpetuity. South Hams District Council took an active role in the creation of the Totnes & District Local Economic Blueprint, so I sat down with Richard Sheard, Chief Executive Officer at SHDC and began by asking him why he thought the Blueprint matters. You can download the Blueprint here, and see the first review of it here. Have a good Easter.